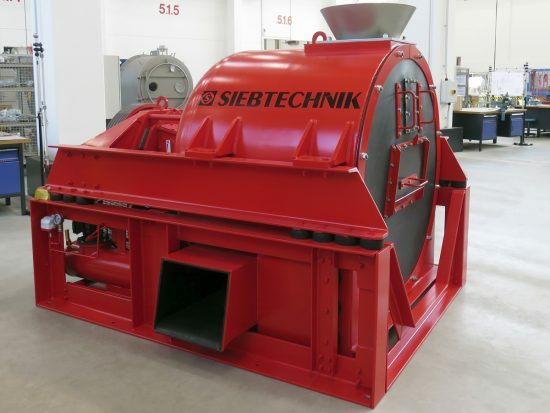 SHS pusher centrifuge by SIEBTECHNIK TEMA. 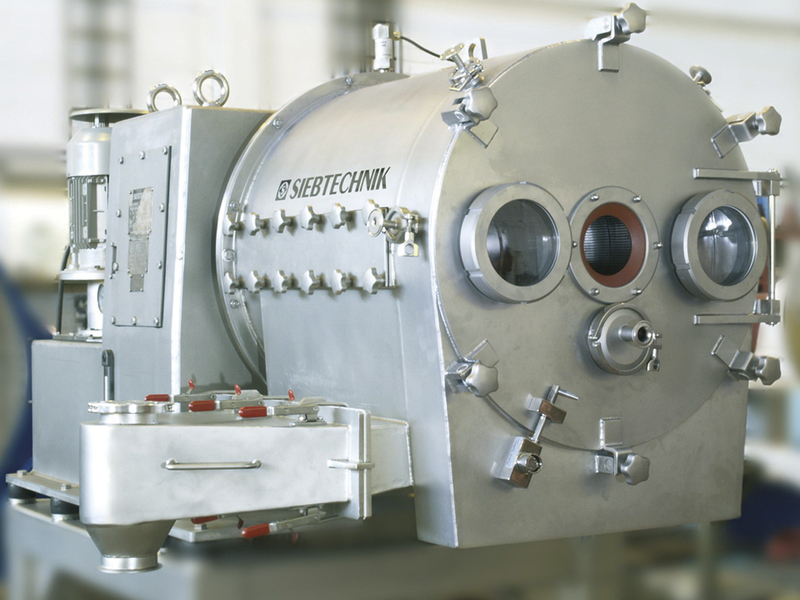 The SIEBTECHNIK SHS pusher centrifuge has established and proved itself as a modern high-performance machine in many areas of industry. It does its separating work in crystalline applications reliably. 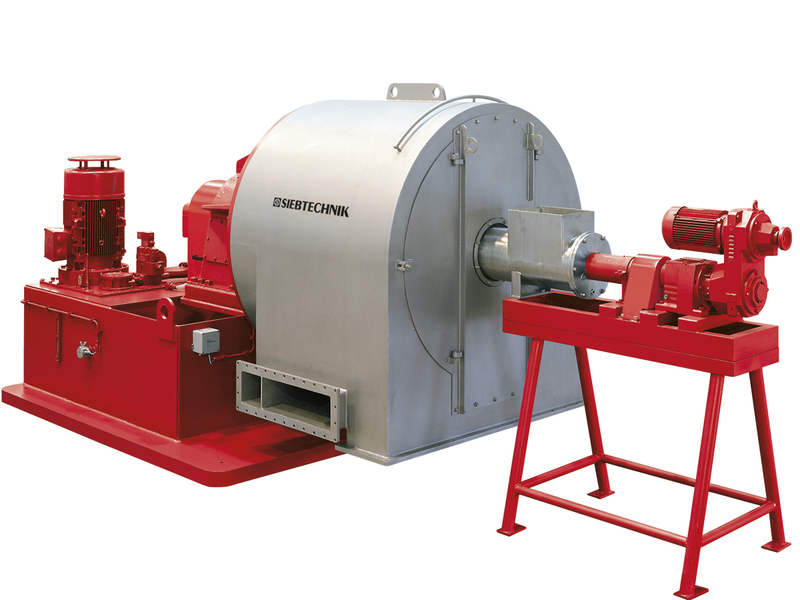 SIEBTECHNIK is also among the leading suppliers of pusher centrifuges in polymer products. The basis of this success is individual design variants that perform complex separating tasks. 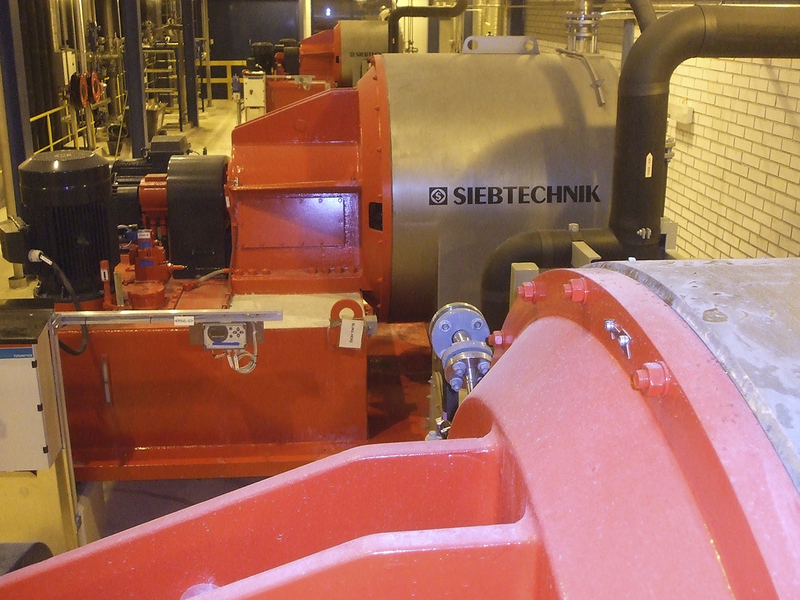 All SIEBTECHNIK pusher centrifuges guarantee very good results, amongst them low residual moisture, high solid yield and outstanding washing efficiency. 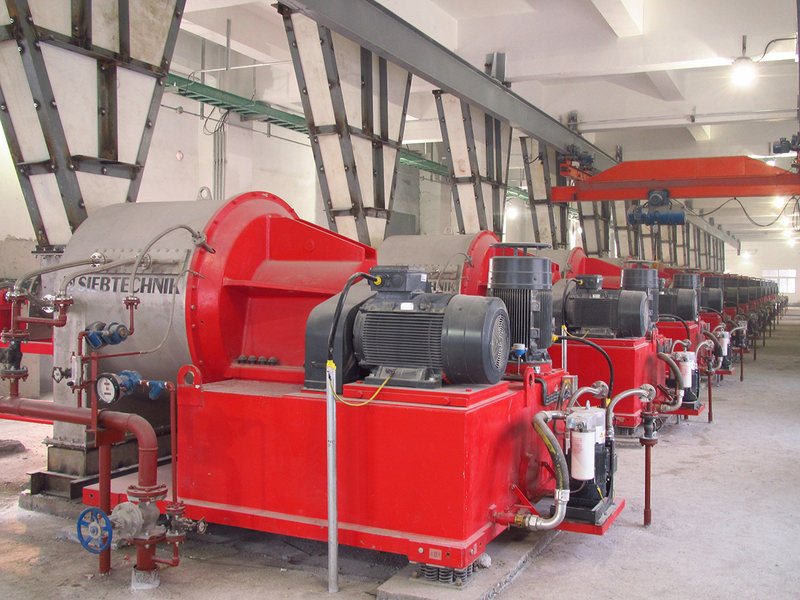 Special consideration is given here to the protection of grains when processing solid matter. 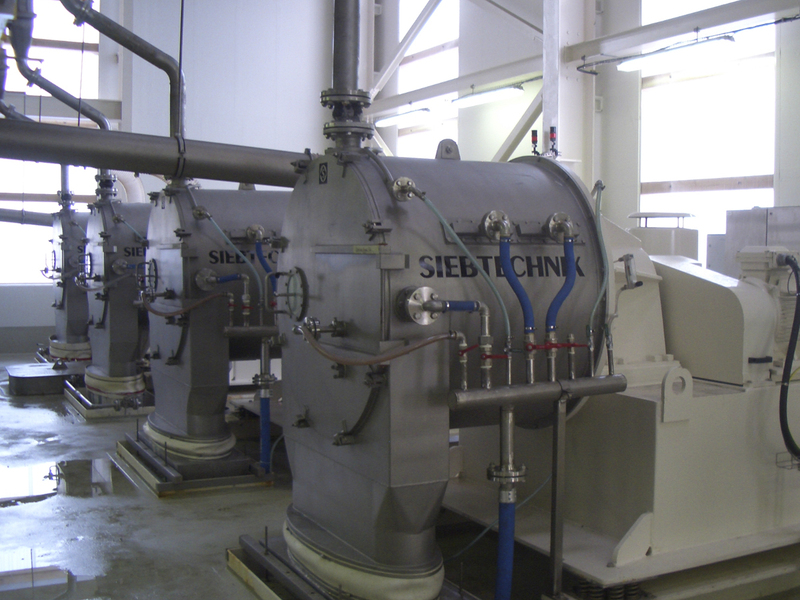 Particularly in the areas of feed and discharge where the product stream is accelerated and then slowed down again SIEBTECHNIK offers individual solutions. 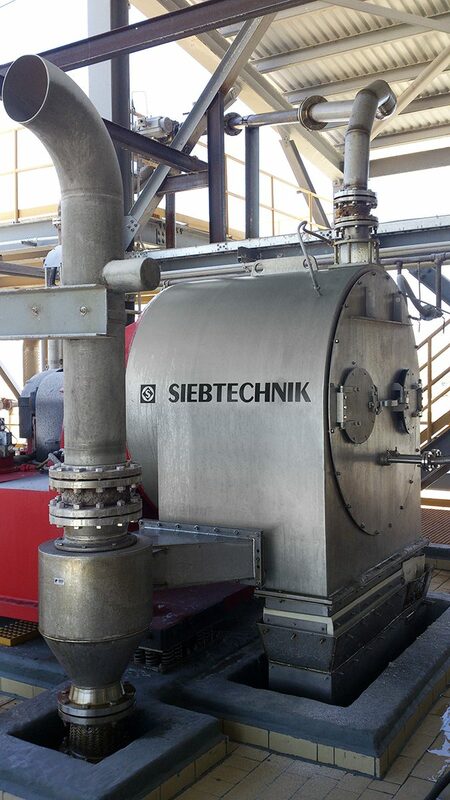 We shall be pleased to show you what the SIEBTECHNIK SHS pusher centrifuge is capable of and to work with you to find new solutions for your particular separating task. 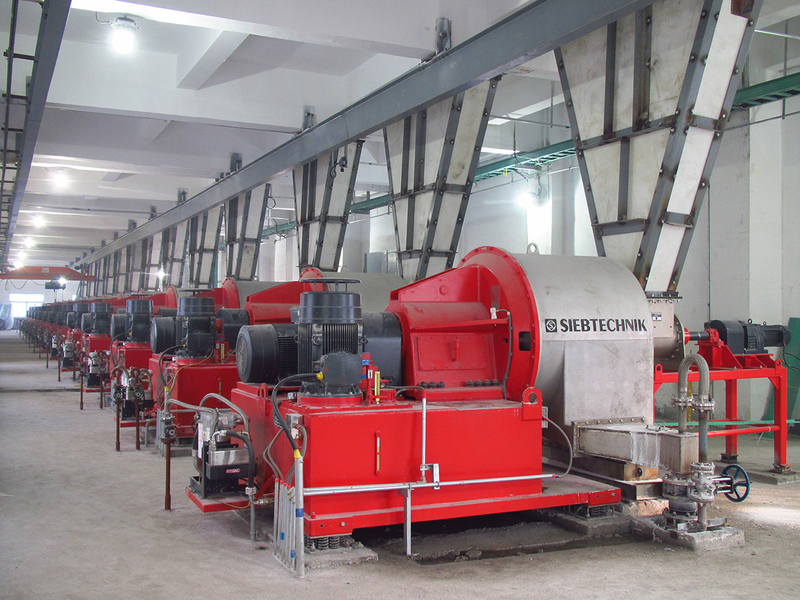 The SHS shows its strengths particularly when meeting special process requirements: Long dwell times, little solids loss in the filtrate, low grain breakage/abrasion, intensive washing of solids cakes, wear minimisation. 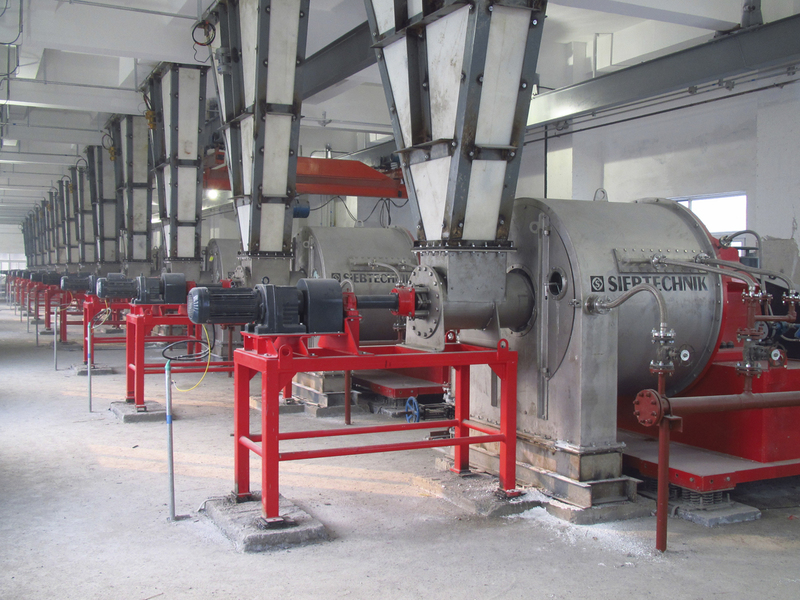 These make it not only an outstanding separating unit for many crystalline products such as sodium or potassium chloride and sodium, ammonium or ferrous sulphate, but also the right solution to processing “exotic” products like granulate, seed, food, fibres, animal bone scrap and perhaps also your product. solid is retained as a cake on a slotted screen basket and conveyed stepwise axially towards the solid discharge housing by an oscillating movement of the pusher panel. On the pusher centrifuge the transport speed of the solids cake is lower than e.g. on the screen worm centrifuge, while the dwell time for the centrifuged material in the bowl is correspondingly longer. The size of the solids particles to be separated is preferably greater than 80 μm, although the thick, dense filter cake ensures an excellent yield, even of fine solids (natural filtration). 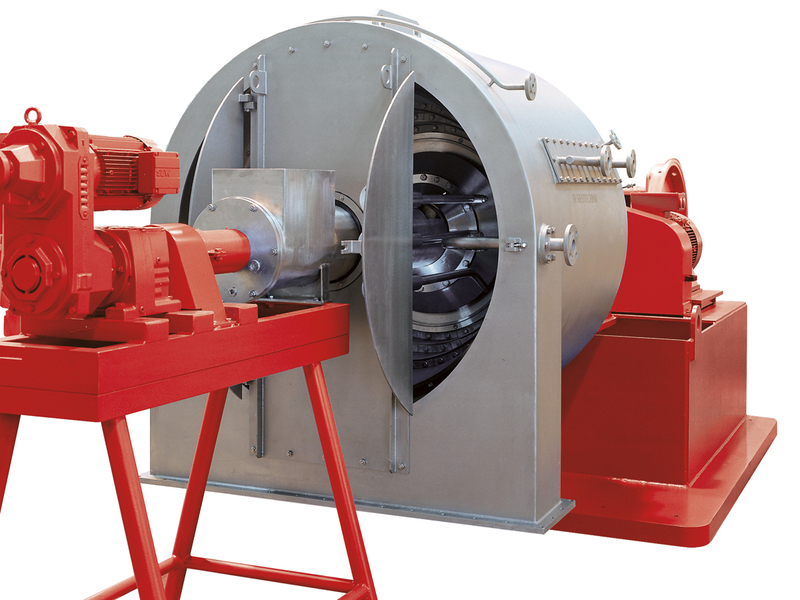 So both main features – the long dwell time and the dense filter cake – also enable efficient re-dewatering of solids with a large fine grain content which have been pre-dewatered in filters of all kinds. For many applications the outer bowl is designed cylindrical-conical. Because of this the difficult separation of capillary fluid from the corners between contacting grains is made considerably easier. 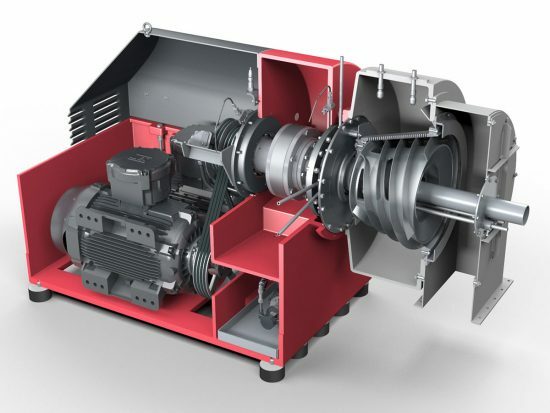 The pusher energy needed for solids conveyance is also reduced. The filling system (patent no. DE 195 46 019 C1) with acceleration cone and annular cup ensures extremely careful pre-acceleration and even distribution of the product. So, even where feed conditions are unfavourable, the mechanical loads on the machine, particularly wear, can be minimised. An additionally integrated screening element, if required, enables product pre-thickening and so optimised filter cake formation. The filtrate drain is generally designed to enable mother liquor and washing liquid to be drained off separately from each other. 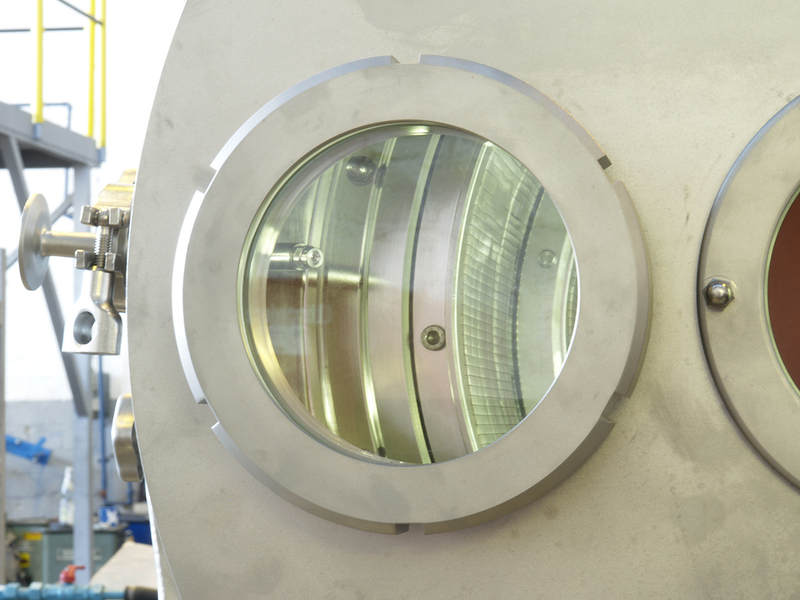 While there is a general trend towards standardisation, SIEBTECHNIK puts emphasis on detail. 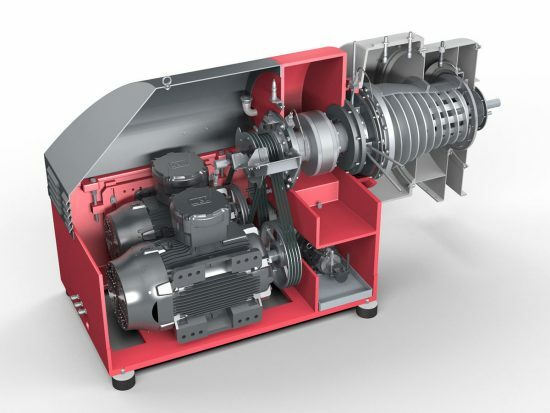 Our specialists devise and design the special machine for and often with the customer specifically for the product. This enables optimum efficiency to be achieved and individual requirements to be met. 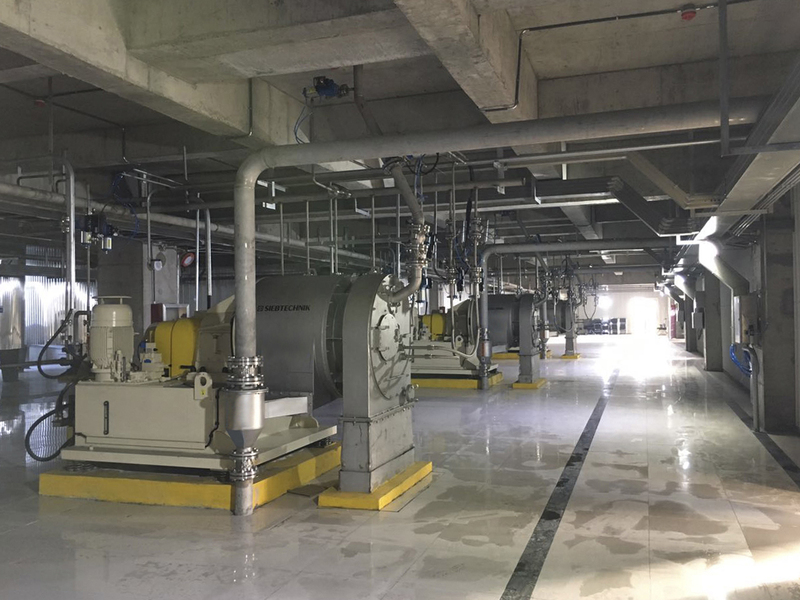 For the most varied applications a range of centrifuge variants was consistently developed that enables specific applications to be very precisely provided for. For different throughputs there are up to 14 sizes with nominal bowl diameters of between 250 mm and 1200 mm to choose from. 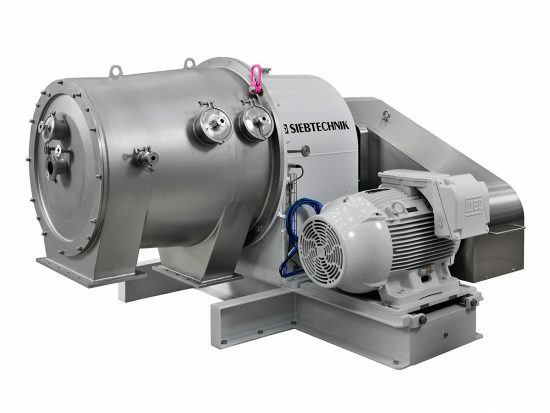 SIEBTECHNIK pusher centrifuges are built with a one- to four-stage rotor, depending on the application and dewaterability of the product. 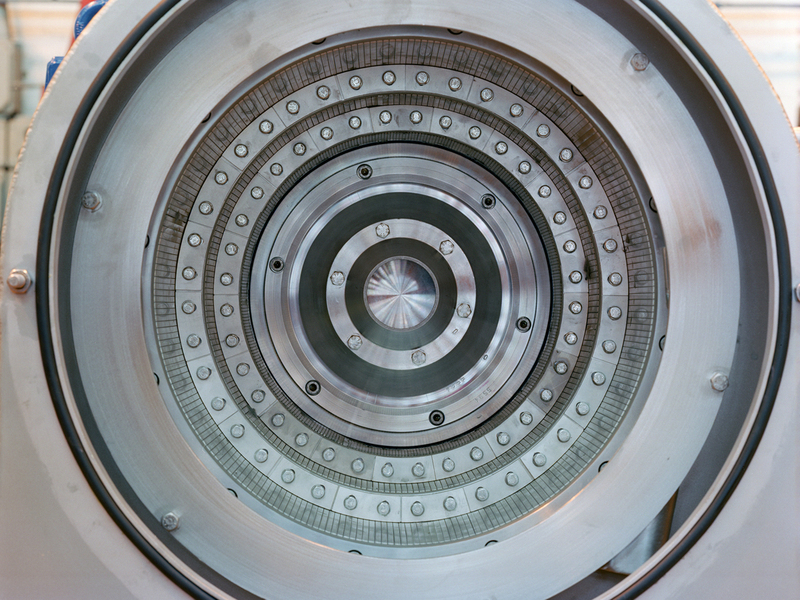 Depending on application, we manufacture all parts that come into contact with the centrifuged material from corrosion-resistant, austenitic steels, special bronzes, Hastelloy, nickel, titanium, etc. 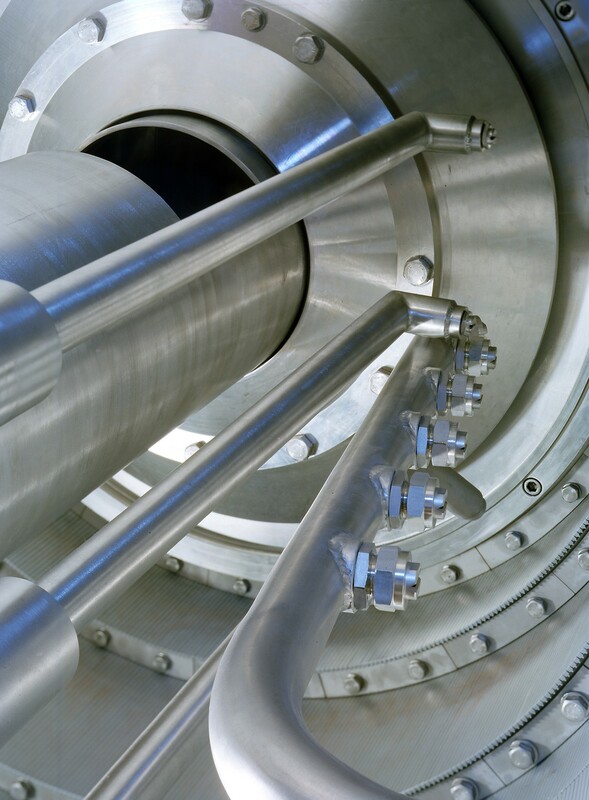 With abrasive feed material we protect risk-exposed areas with wear-resistant materials and coatings.